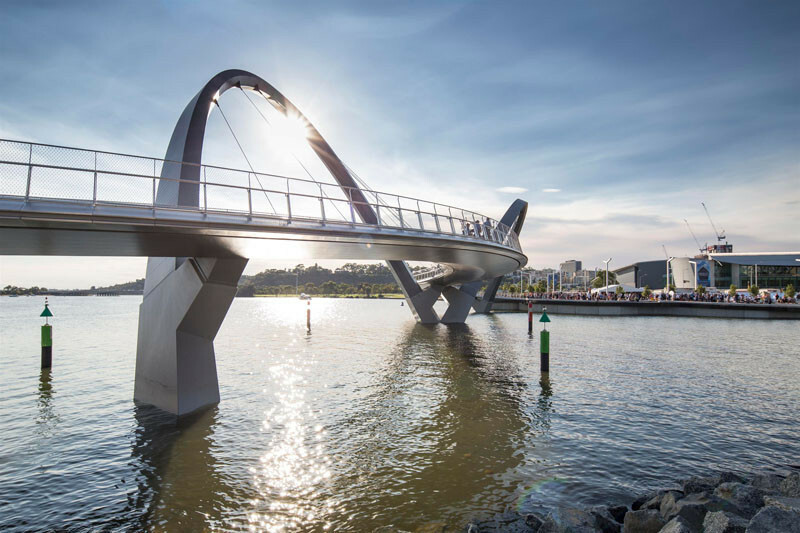 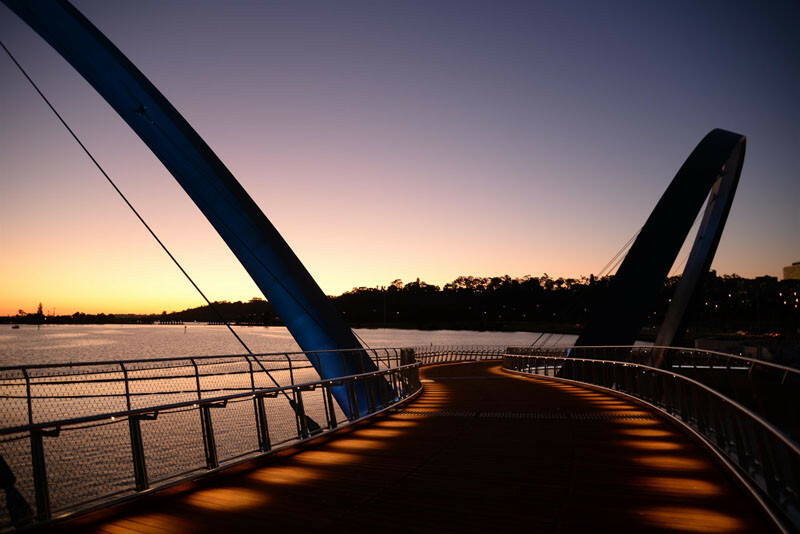 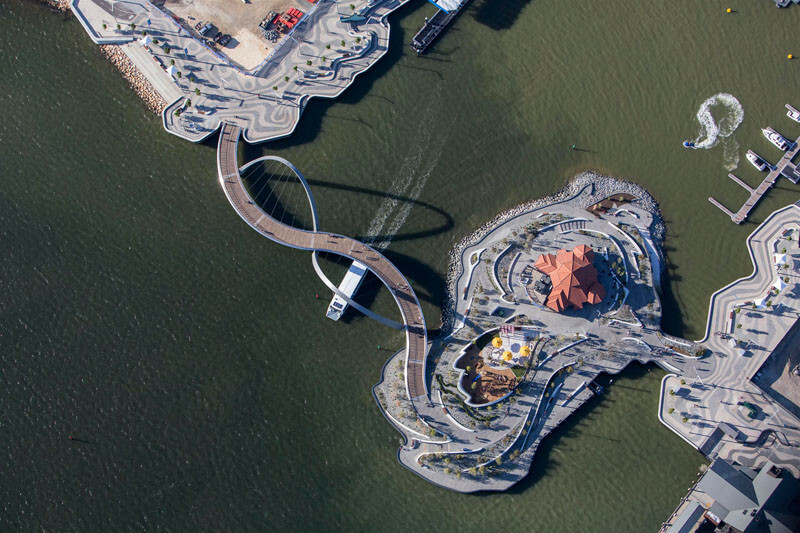 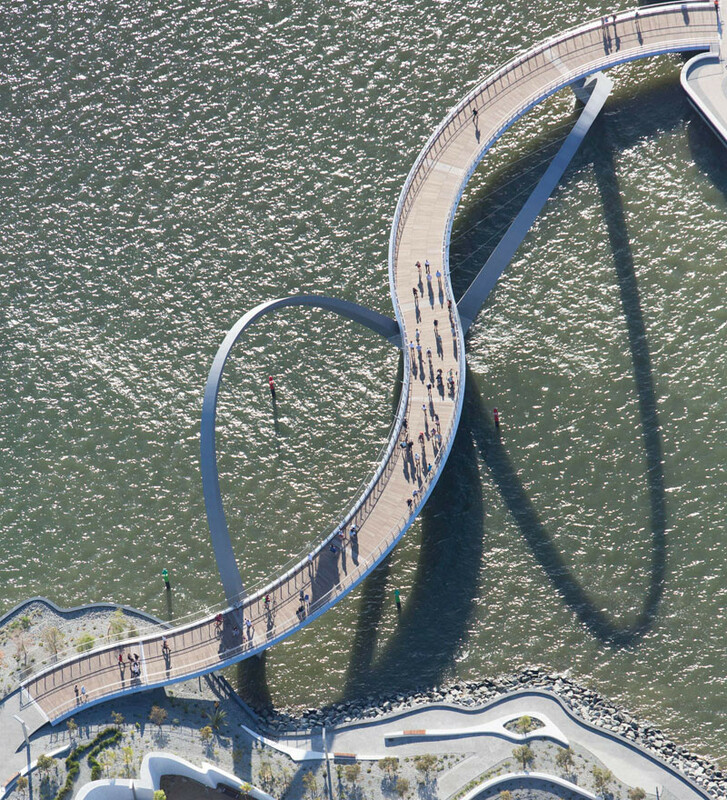 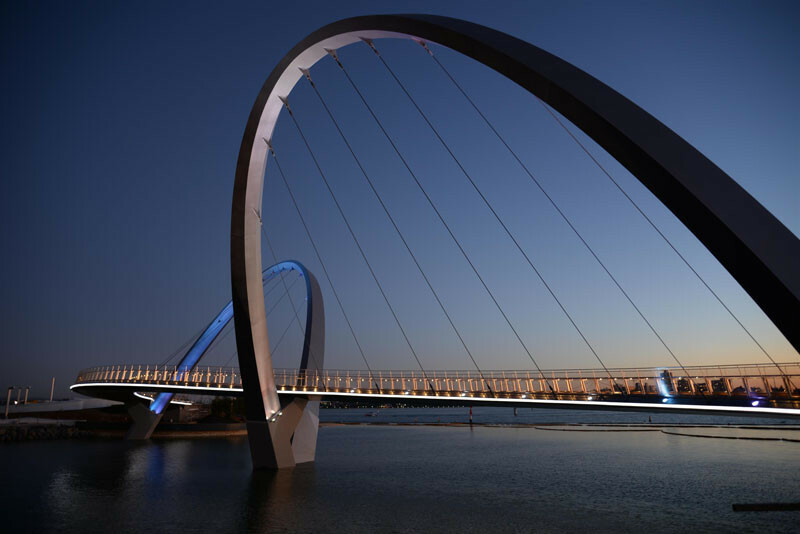 Arup Associates and Arup engineers have worked together to design a new pedestrian and cyclist bridge in Perth, Australia, named the Elizabeth Quay Bridge. 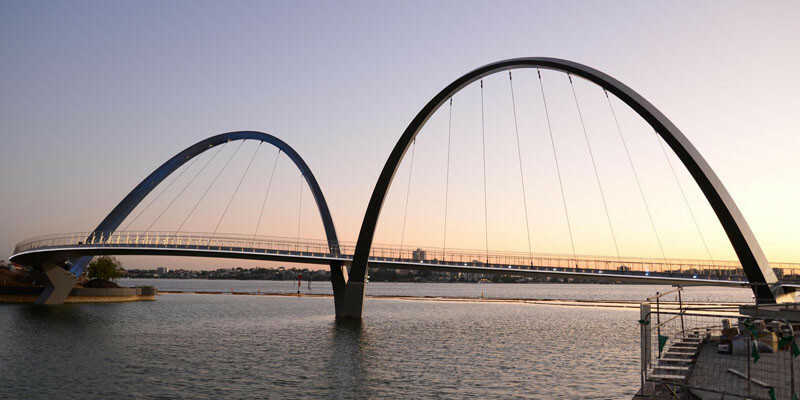 The bridge spans the inlet of the Swan River, and is 328 feet (100m) long. 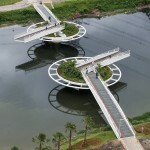 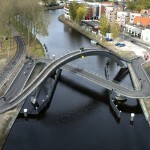 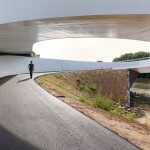 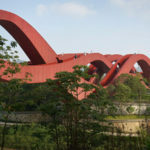 The bridges curves have been designed in such a way to allow boats to pass underneath. 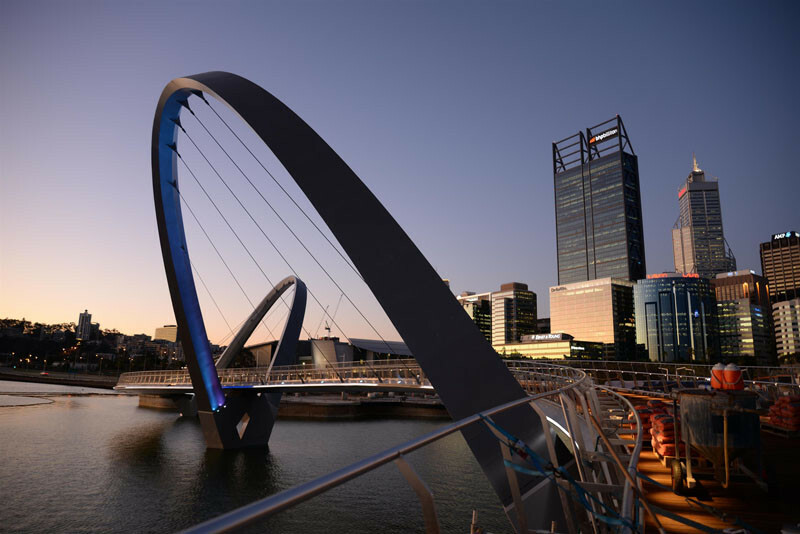 The 72 foot (22m) high cable-stayed bridge offers 360 degree views across the Swan River and the Perth Central Business District. 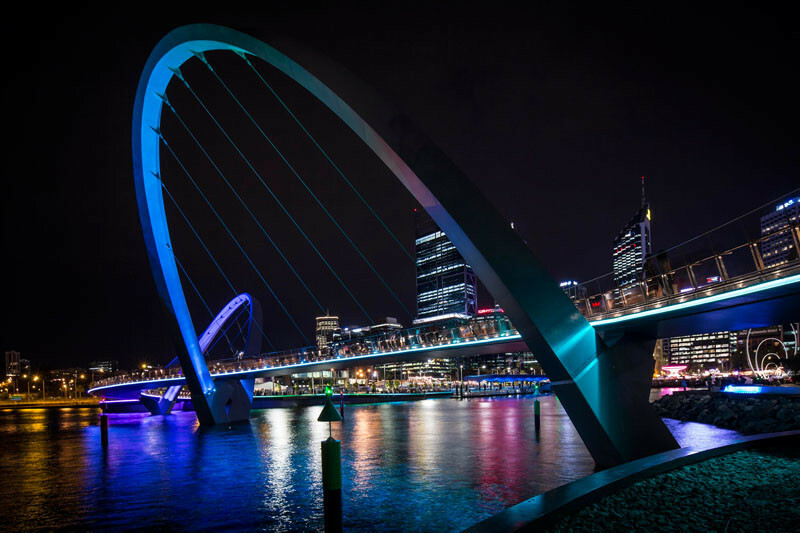 At night, the bridge it lit up so that pedestrians can still use it. 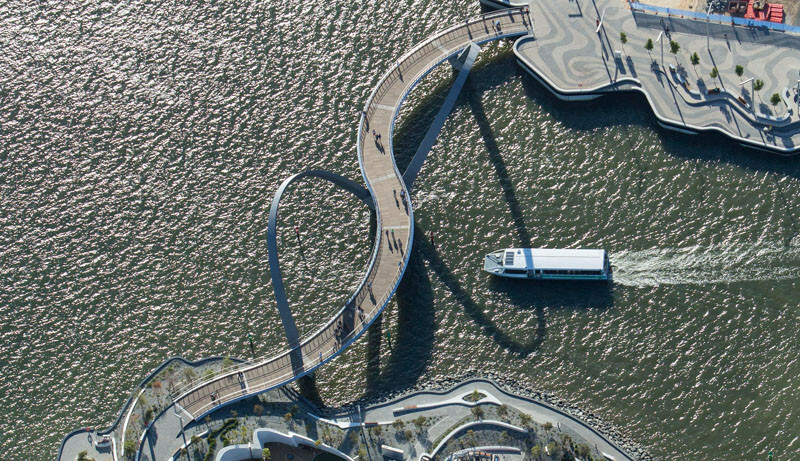 Here are some aerial photos of the bridge.